BroadcastAsia2018 is Asia’s must-attend international event for the pro-audio, film, digital media and broadcasting industries. The show was successfully held from June 26-28,2018. Here we would like to show you our whole display . Our newest Pavolites Tube RGBAW light attracts lots of attention and inquiry.Our RGB tube light not only has the normal daylight,tungsten but also have the RGBAW (for you to use with full color),special effects like cop-car,candle,lighting ,flash and so on. This time,our newest and portable lighting solutions MIXKIT +3M and MIXKIT +3S are also very popular at the BCA show.Comes with the portable carrying case and bag. We also showing our other COMBO series,LED Panel light and Beauty LED Ring light.Glad to receive so many old client’s recognition and good feedback and suggestion for our product. 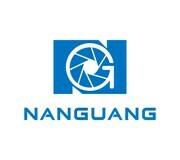 For more information of our more products , welcome to visit our website: www.nanguang.cn . During the show,we also enjoy the dinner with our distributors from Russia and Malaysia and discuss more of future cooperation,thank you so much for joining the Nanguang big family. After the BCA show,we spent half day to visit the Singapore camera stores,to know more about the local market and visit our local dealer.We believe NanGuang brand will be more popular in the Singapore and Southeast countries! Many thanks for new and old clients spent time and visited us at BCA show.Thanks for your always support and trust,we will try our best to offer you more new technology and functional products and lighting solution !